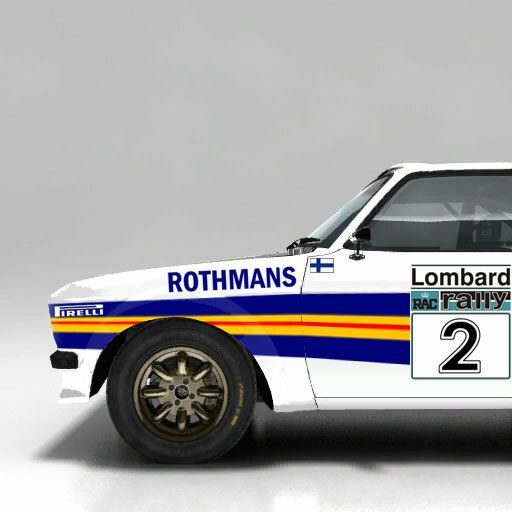 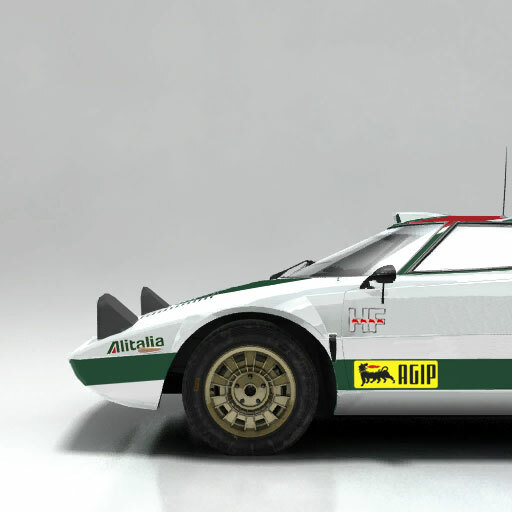 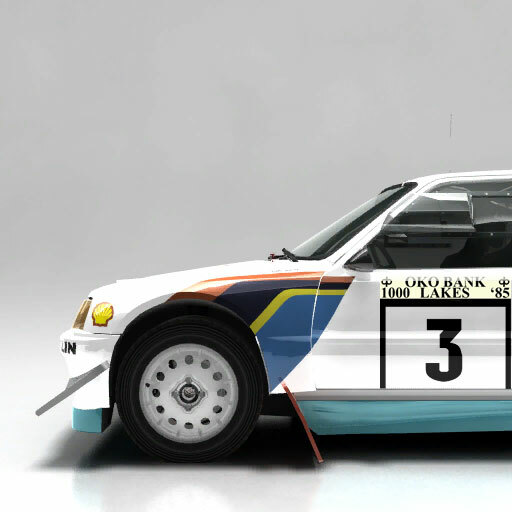 The included file is a Car Selection Tile image to suit the San Remo HB Audi Team livery from Dirt 2&3 livery Blog for the Audi Quatro Rallye. 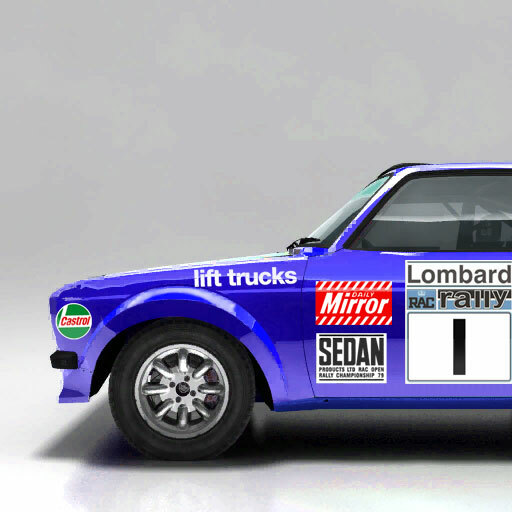 Car Designation code is aqb. 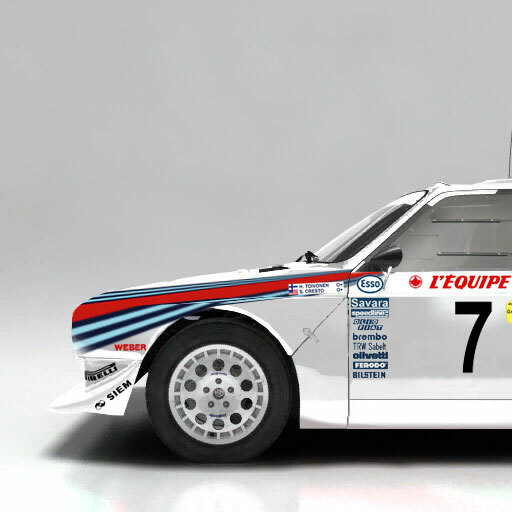 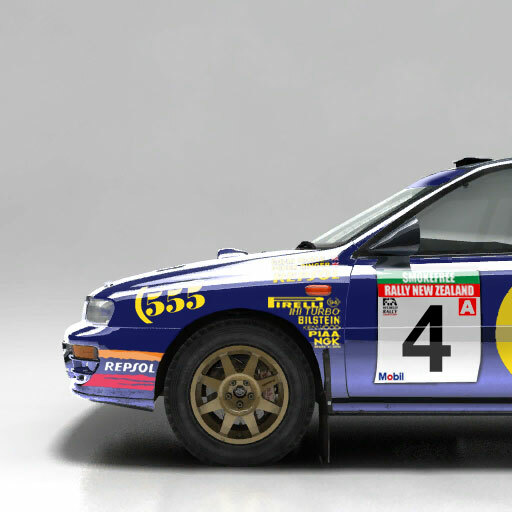 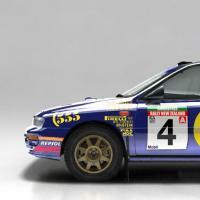 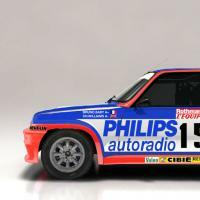 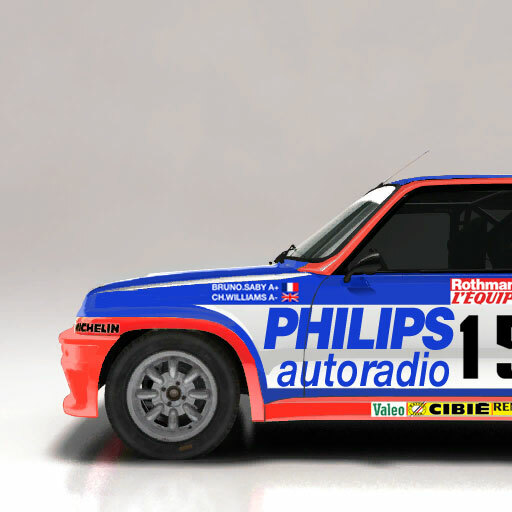 The included file is a Car Selection Tile image to suit the Timo Salonen Peugeot Talbot livery for the Peugeot 205 T16 Evo 2. Car Designation code is 20b. 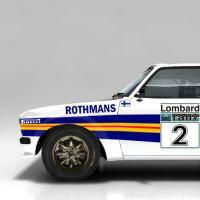 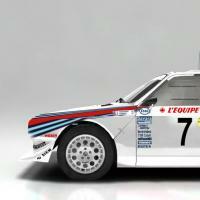 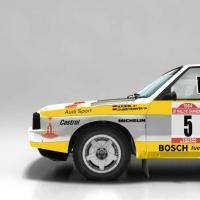 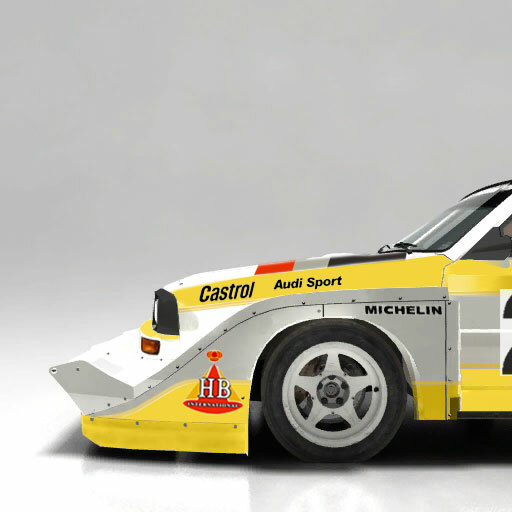 This file is a Car Selection Tile image to suit the HB Audi Team livery for the Audi Quattro Pikes Peak. 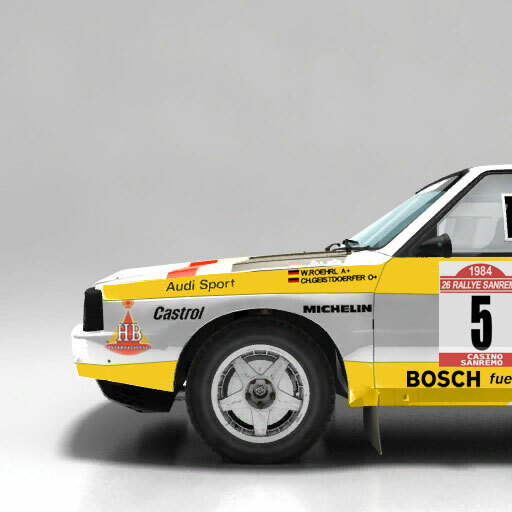 Car designation code is aqp.